Hello, friends. How are you? I just went through a crazy busy week and finally, I can sit down to write my K-beauty post now. Last week, I got a message from a reader that asked me for some Korean eye creams recommendations. I am so glad that I could offer some advice.Btw, if you have any questions related to Asian beauty, you are welcome to throw them to me. Hence, the topic today is the best Korean eye creams. When it comes to eye creams, some people think it is not necessary to apply a cream just for the eye area and they just use moisturizer for the whole face. I am not going to say you shouldn’t do that. However, the truth is that the skin around eyes is more fragile so that a special treatment for it would be a better choice. Just like usually we use body lotion for our body. 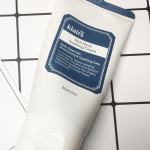 In the K-beauty world, You will find hundreds of eye creams and every Ad will tell you it would tighten your skin, prevent fine lines and reduce dark circles. Don’t get lost! 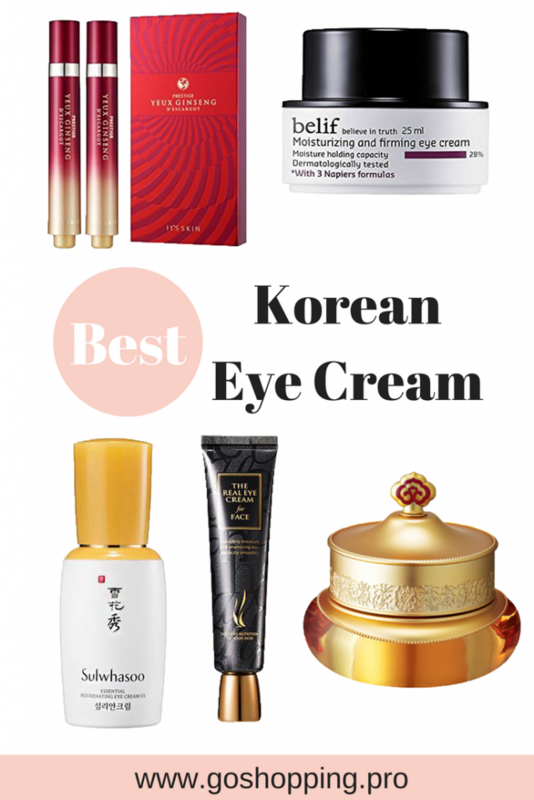 My list of the best Korean eye creams may help you to find the best answer. It is based on my own experience and my research. Even though Season 5 already come out, Season 4 is still the most popular one. As the name of this eye creams suggests, this is an eye cream that you can use as a moisturizer as well. What a luxury idea! 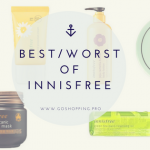 Don’t worry, this eye cream is quite affordable so you can use it as much as you want. It is formulated with Oryza Sativa Extract, coconut oil, Snail Secretion Filtrate and other natural properties so that your eyes and your face will feel hydrated and plump. As you know, it is harder to make your fine lines become visible when your skin get enough hydration. Besides, the texture is not sticky and easy to be absorbed. Some people such as myself often worry about fat granule while applying an eye cream, fortunately, this one will not. It is an eye cream that will prevent wrinkle appearance and smooth your dark circles. But if you want to make your wrinkle disappear, this one will not make happen. It is a good choice for young people who want to make their eyes and face hydrated. However, if you want an eye cream with strong anti-aging effect, maybe the next one would be a suitable choice. Read my in-depth review of it here. If you read my posts about Sulwhasoo before, you will notice that Sulwhasoo is Korean classic skincare brand that focuses on using traditional herbs to achieve goals. The same as other Sulwhasoo products, this eye cream contains ginseng, pomegranate, and green tea to deal with aging problems. It also includes honey to retain moisture level around your eyes and give you a supple and dewy look. Despite rich nutrition of this cream, the consistency is not sticky. As a whole, it is an eye cream that can smooth and prevent fine lines. Due to the success of Belif the truth cream, Belif gains a lot of reputation in Korean beauty lovers. Look at the appearance, it is quite similar to the truth cream. For the effect, this eye cream will not let you down. It contains natural oils and cupuacu seed butter, helping to retain moisture and firming your skin. You will feel your delicate skin around eyes stay plump and hydrated all day long. The texture is so lightweight that will not cause any burden on your pretty eyes. If you want to give your eyes huge tons of hydration, go for this one. Yes, it comes with 2 eye creams together with 15 ml each. Except for the package, the design of this eye cream is quite unique as well. By using roller ball on the top of the eye cream- imaging a ball pen, you can roll out your eye creams and do the eye message at the same time. 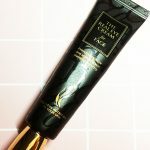 In fact, this eye cream is one of the best sellers in the whole it’s skin line in Korea. The formula here contains a blend of ginseng and snail slime, known to defend free radicals and firming skin. This it’s skin flagship product does work to smooth your fine lines and dark circles. Regarding the price, it is really an excellent product especially for lazy people who always forget to do massage work whenever they use an eye cream. The history of whoo is a Korean brand that aims at offering you the special skin treatment that used by the royal family before. You can feel their idea from the outside packaging in some circumstances. When you look at the ingredient list, you will figure out that a lot of luxury herbs had been included such as ginseng and Cordyceps. All these properties work together to give you a luxury eye treatment. If your eyes are dry and desperate for rich nutrition, this one is designed for you. The texture is not thick so you will get a fast absorption. 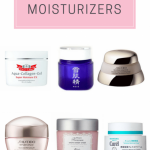 This is my recommendation for the best Korean eye creams. If you need a good hydration, choose [amazon link=”B01AY3KYH6″ title=”A.H.C The Real Eye Creams For Face (Season 4)” link_title=”A.H.C The Real Eye Creams For Face (Season 4)” /] and [amazon link=”B00AH4JKYQ” title=”Belif Moisturizing and Firming Eye Cream” link_title=”Belif Moisturizing and Firming Eye Cream” /]. If you want to deal with your fine lines and you are quite lazy, go for [amazon link=”B00AK7S956″ title=”It’s Skin Prestige Yeux Ginseng Descargot” link_title=”It’s Skin Prestige Yeux Ginseng Descargot” /]. If you want to give your eyes a luxury treatment, [amazon link=”B00BF7Q0JC” title=”Sulwhasoo Essential Rejuvenating Eye Cream EX” link_title=”Sulwhasoo Essential Rejuvenating Eye Cream EX” /] and [amazon link=”B005JFMD6A” title=”The History of Whoo Gongjinhyang Qi & Jin Eye Cream” link_title=”The History of Whoo Gongjinhyang Qi & Jin Eye Cream” /] would be a good choice.